"How can I convert my old vinyl records to MP3 on a Mac? 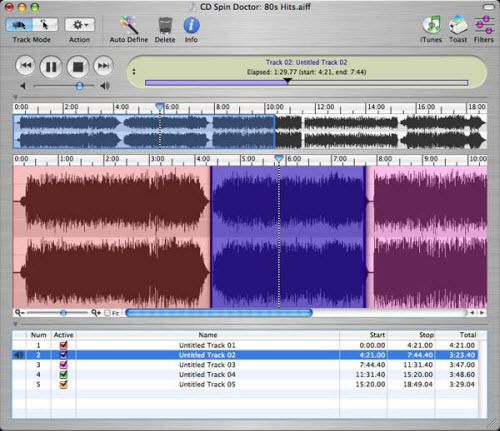 You recommend SpinItAgain for Windows, but what can I use to convert vinyl LPs on Mac OS X?" 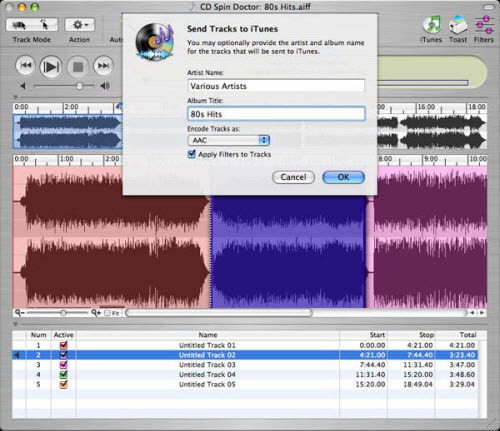 There are many audio recording apps available for Mac OS X, including the popular iLife application GarageBand. If you connect a record player or USB turntable like the Ion to your Mac, you can record vinyl using GarageBand as if it were an instrument. That method is complicated and filled with extra steps, so I don't recommend it. Instead, I suggest using CD Spin Doctor, which comes very close to offering the same ease of use I find so wonderful about SpinItAgain. Before you can get started converting your vinyl records to MP3, you'll have to download CD Spin Doctor. There's no trial version, unfortunately, but I do know you can save 10% by using coupon code 10ROXIOSAVE. 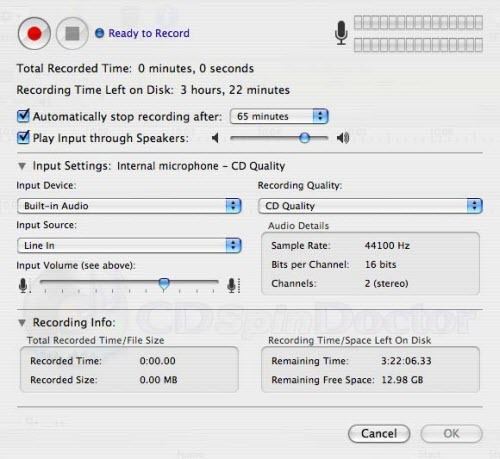 After downloading the software, make sure you have your record player connected to your computer. I go through some of the basics of connecting a record player to your computer at the start of an older tutorial. The process is the same whether you are on a Mac or PC. Once you have everything connected, it's time to configure CD Spin Doctor to record your Vinyl LPs. Make sure you choose the right recording source for CD Spin Doctor. You may also want to configure the automatic stop time to match the approximate length of the side of your LP, so that you can wander off and let the album play. Be sure to test playback to make sure the audio isn't too loud. You can always increase the volume after recording, but you can't fix audio that's too loud. When all configurations are ready, start playing the album on your turntable and click the record button in CD Spin Doctor. After recording completes, you can use the Auto Define feature to automatically detect breaks between songs. This makes it easier to divide an LP up into individual songs and saves tons of time. If it doesn't get the track breaks exactly right, you can manually correct them. After configuring basic track breaks, you can further edit your audio by using the De-click, De-crackle, and De-hiss filters to remove sounds introduced by the record player. 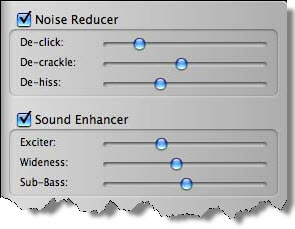 You may need a little practice with this feature to get optimal sound results. You can also adjust EQ settings but I don't recommend it because the person who originally mastered the album wanted it to sound a specific way for a reason. When all your editing is complete, you can add your individual tracks to iTunes automatically, selecting either AAC or MP3 as the file format depending on your preference. Download CD Spin Doctor to start converting your vinyl records to MP3 or AAC.